Last year we launched HigletFilms.com to showcase our online videos, and we are proud to announce the launch of our brand new webseries 'Mind My Brains, Darling!'. Available on Blip.tv, this six-episode webseries is already garnering attention. 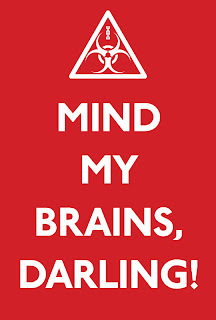 "Mind My Brains, Darling!" is a Rom-Zom-Britcom (Romantic-Zombie-British Sitcom) set in Britain in 1979, 4 years after the zombie apocalypse that follows the ups and downs of family life with the Worthingtons -- a typical family apart from the fact that the dad is a zombie. With the ever-vigilant Z-Force to watch over them, what could possibly go wrong? 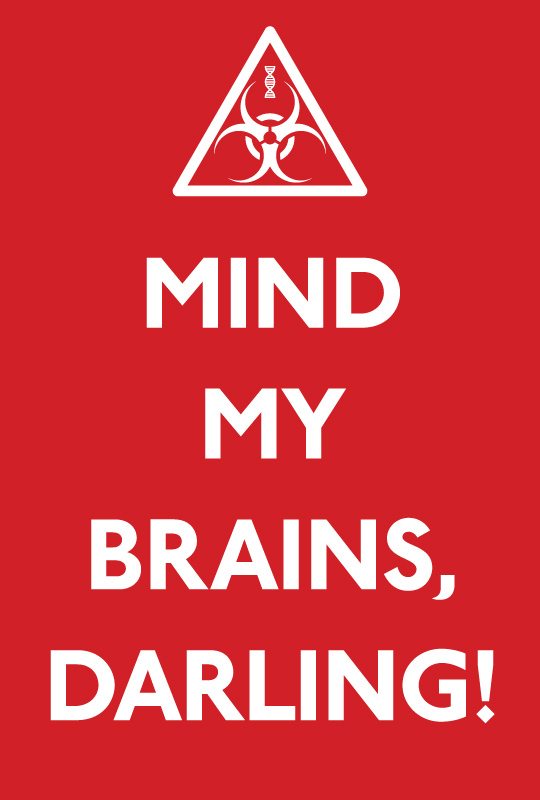 Filmed in our ground-breaking 'BodyLine' technique, 'Mind My Brains, Darling!' demonstrates that surviving the apocalypse is simply a matter of tea, discipline and keeping your head.